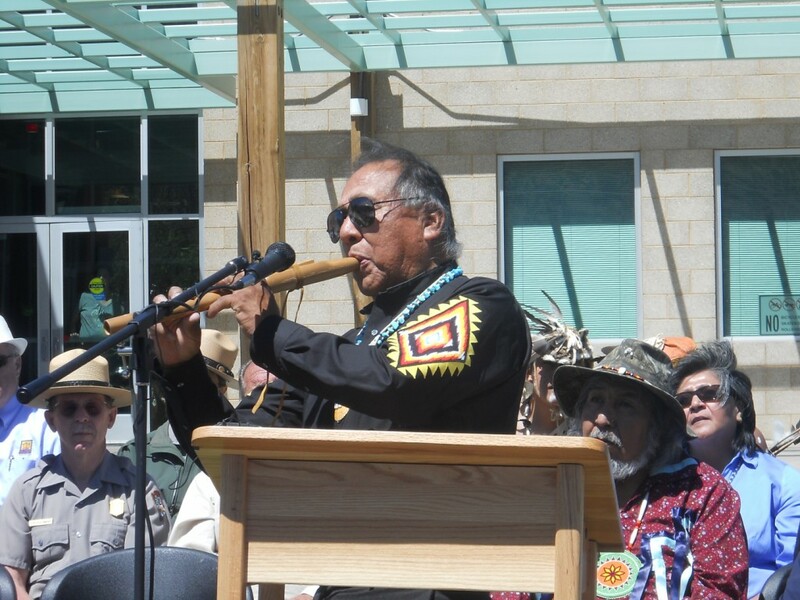 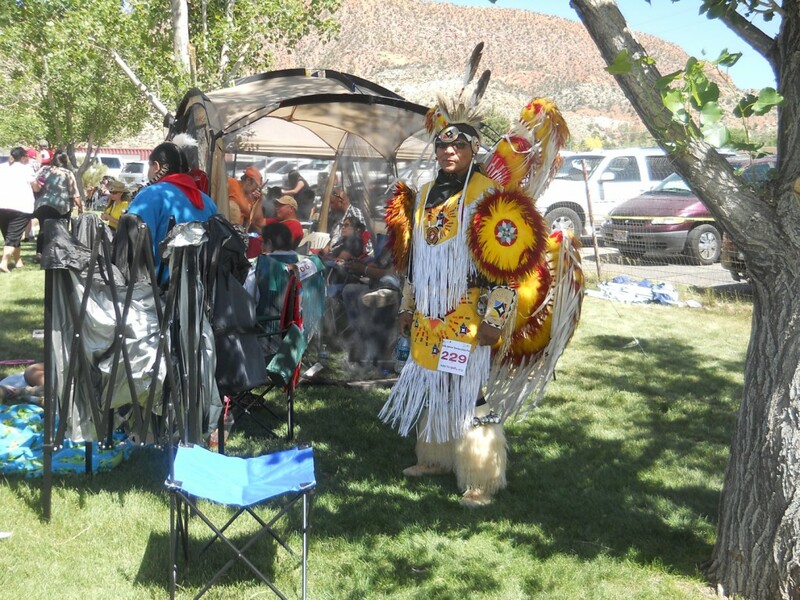 CEDAR CITY — Saturday marked a day of historical significance for the five Paiute bands of Utah with the dedication of the Paiute monument and the 33rd Anniversary Paiute Restoration powwow held in remembrance of becoming federally recognized after being terminated for over two decades. 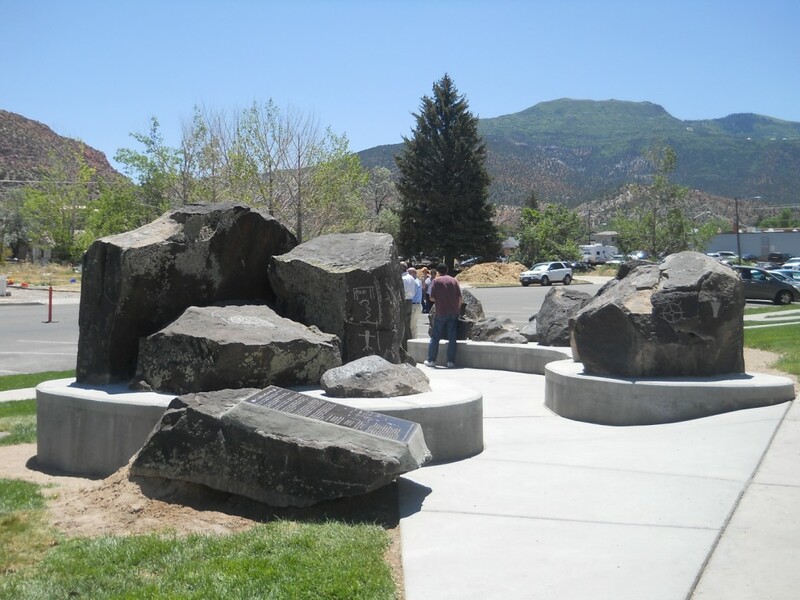 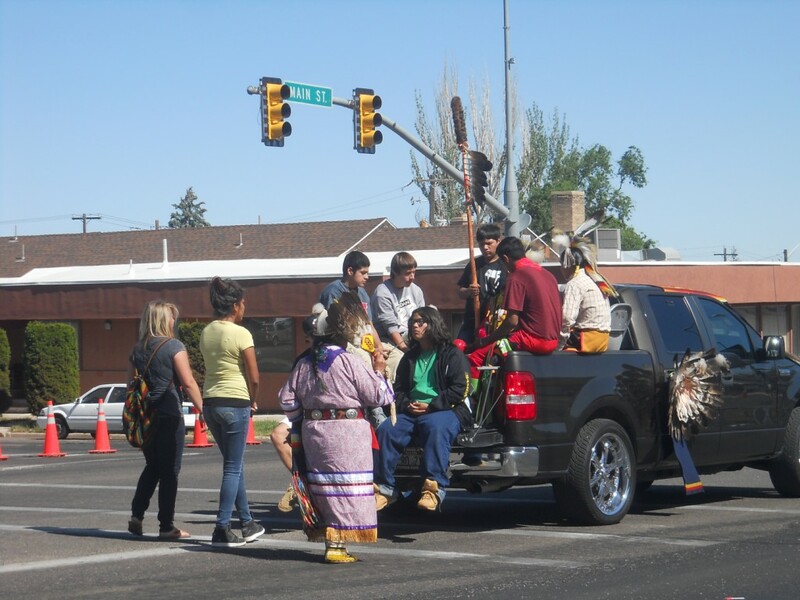 Following the Main Street tribal parade, more than 70 people gathered for the dedication of the Paiute monument — igneous boulders mounted along the sidewalk in front of the Cedar City Public Library with replicated picture and rock writing chiseled into them. 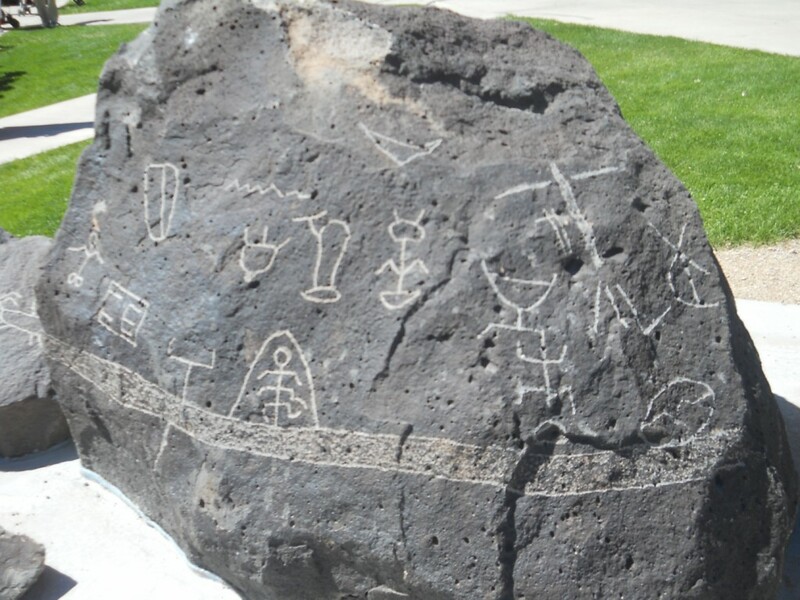 The petroglyphs represent the stories of the Paiute’s history to not only inform those of the present but to educate future generations, Cedar City Mayor Miley Wilson said. 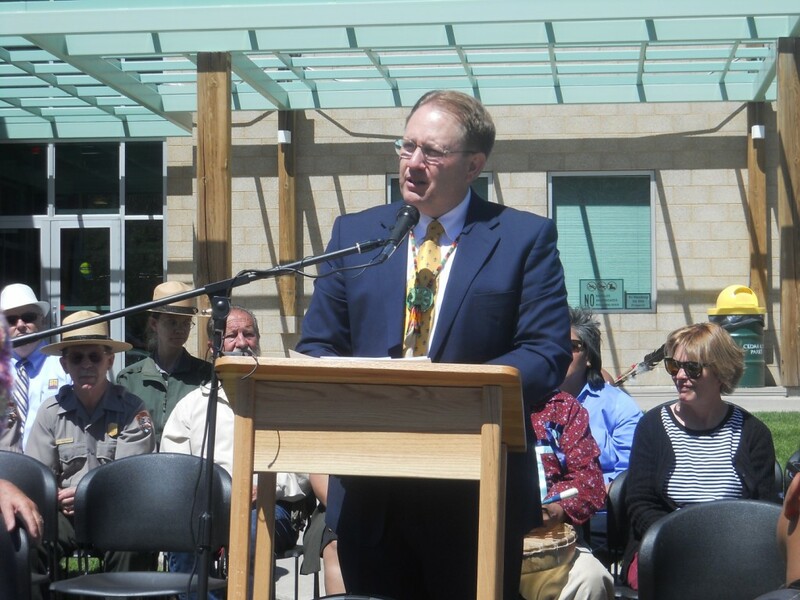 This project was a joint effort between Cedar City, Cedar band of Paiutes and the Church of Jesus Christ of Latter-day Saints and was funded through Cedar City’s recreation and arts taxes, Dane Leavitt said. 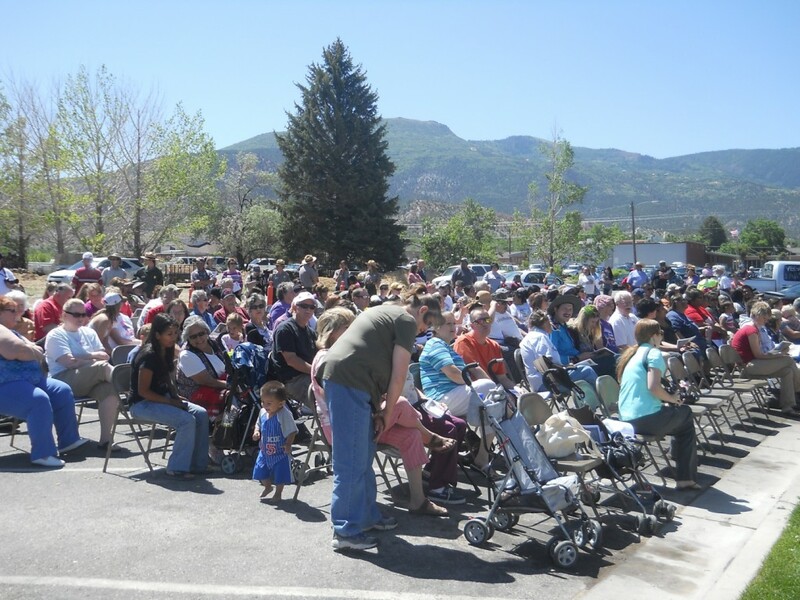 Leavitt represents the area-70 LDS church and was part of the progression of this project four years ago. 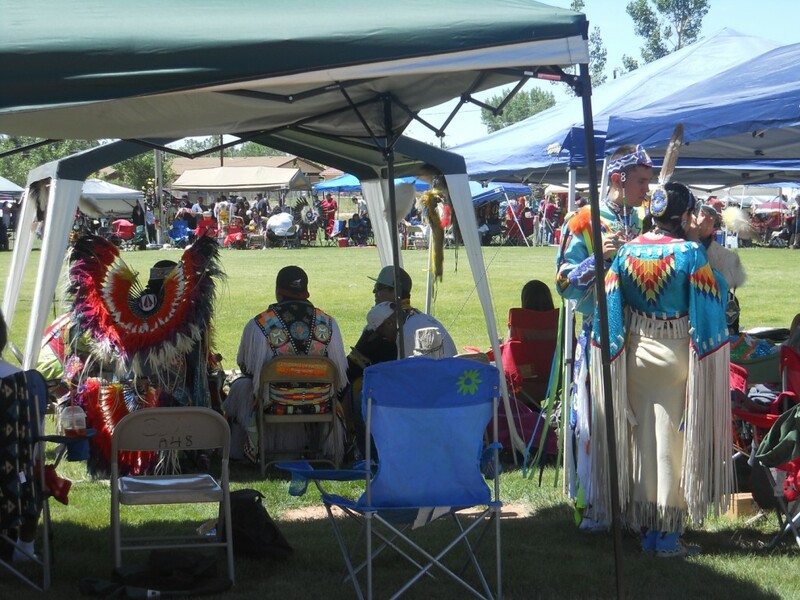 Tribal Chairwoman of the Paiute tribes of Utah Gari Lafferty said she didn’t get involved with the project until about a year ago but that it was really neat to see it sketched out and the blueprints and now see it come to pass. 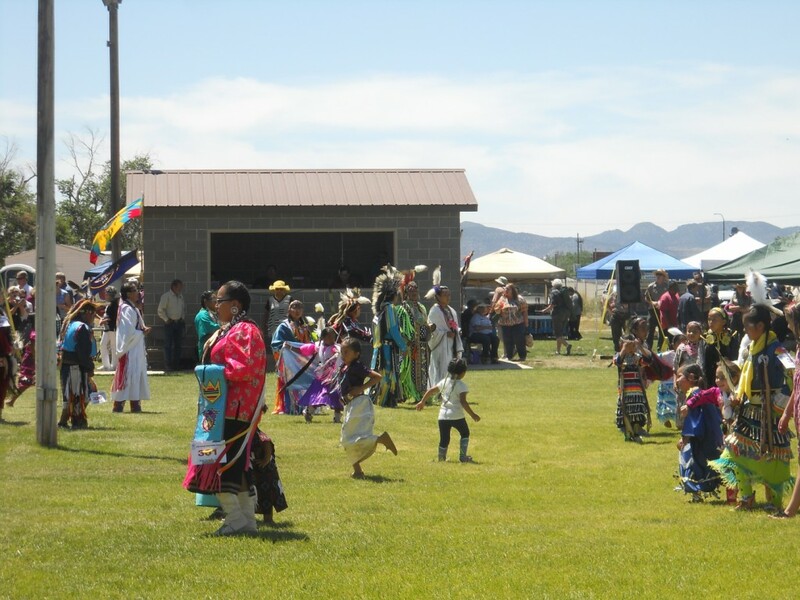 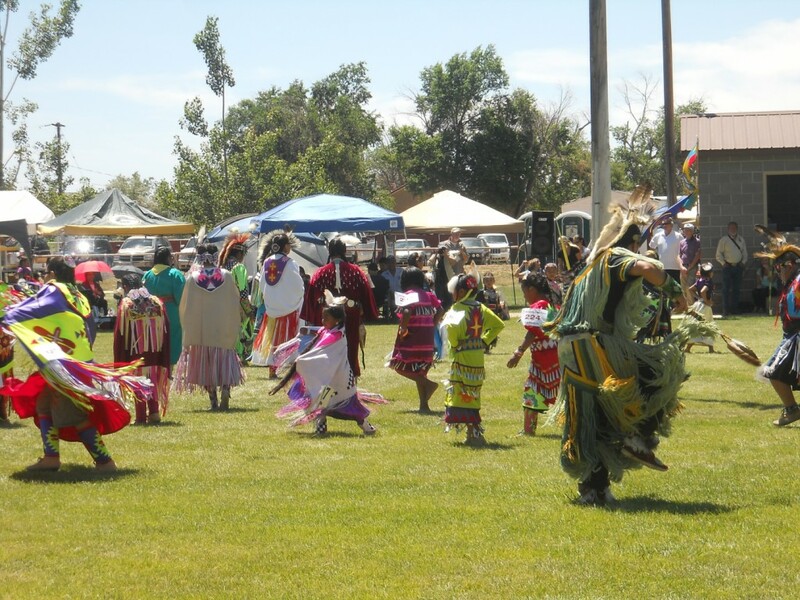 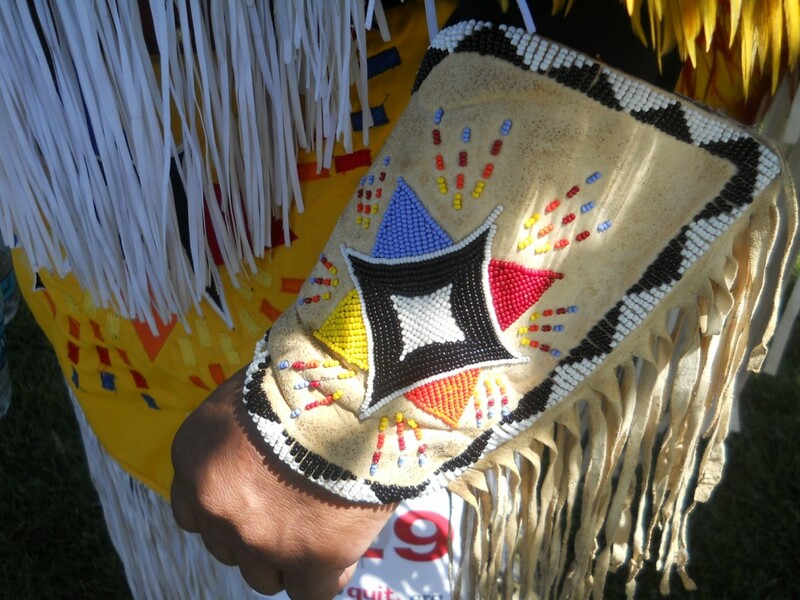 The 33rd Anniversary Paiute Restoration Gathering powwow commemorates the reinstatement of federal recognition after the five bands of Utah Paiutes were terminated in the late 1950s. 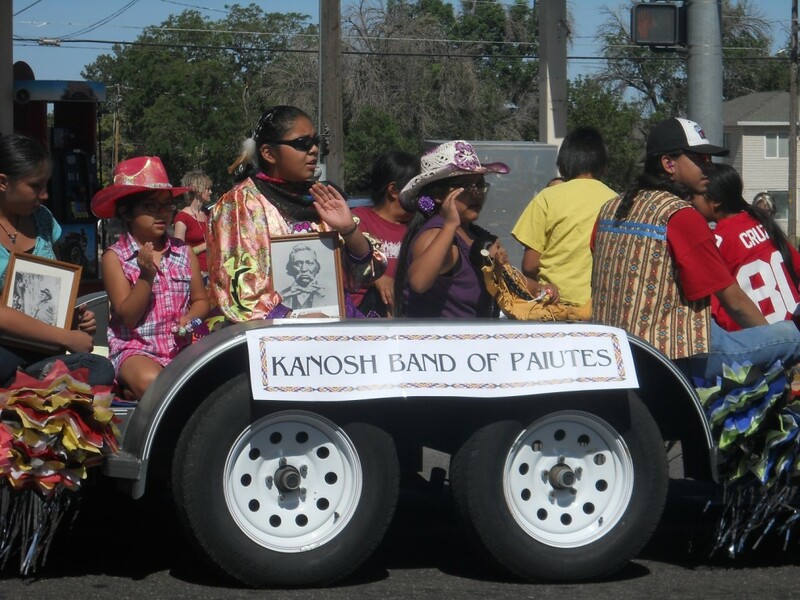 According to the Utah History Encyclopedia, although Bureau of Indian Affairs documents recognized that the Paiutes were not ready to survive without the benefits of the trust relationship with the U.S. federal government, Utah Senator Arthur Watkins included them on the list of tribes to be terminated. 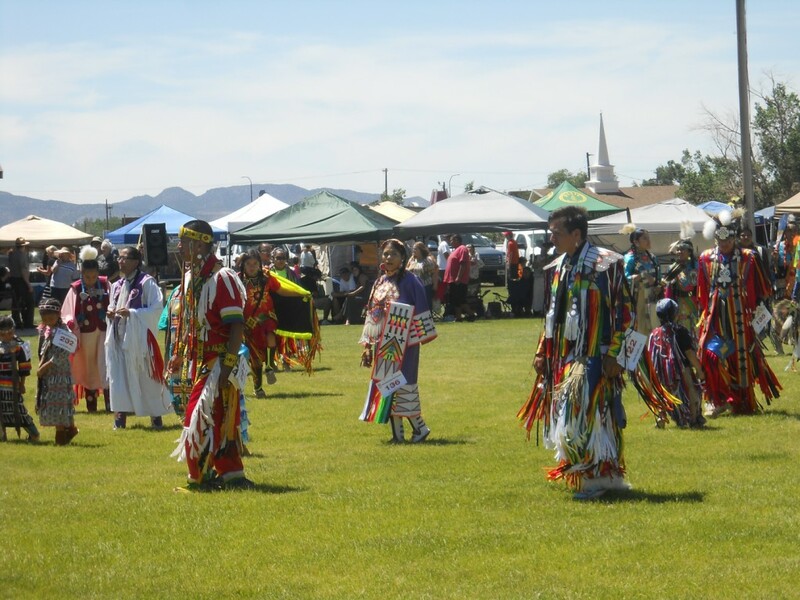 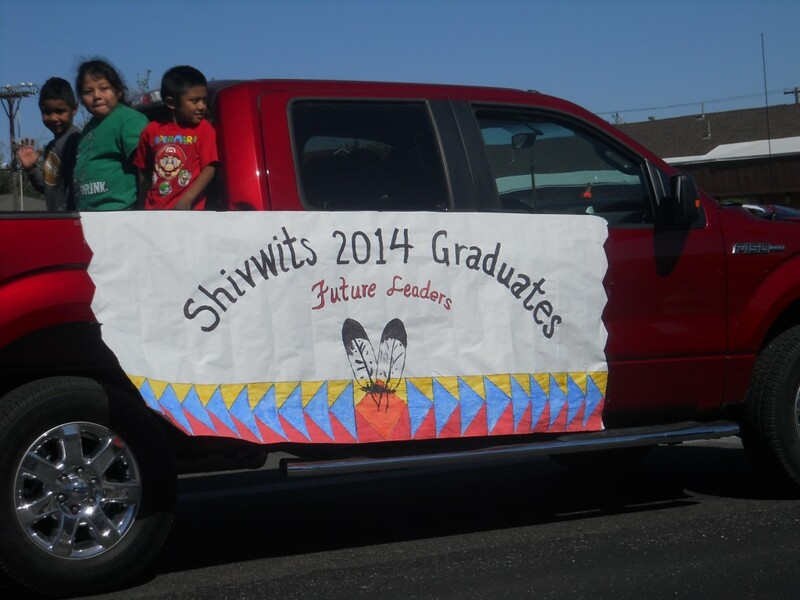 Without federal tax protection, health and education benefits, or agricultural assistance, the Paiutes were reduced to a miserable existence during the late 1950s and 1960s. 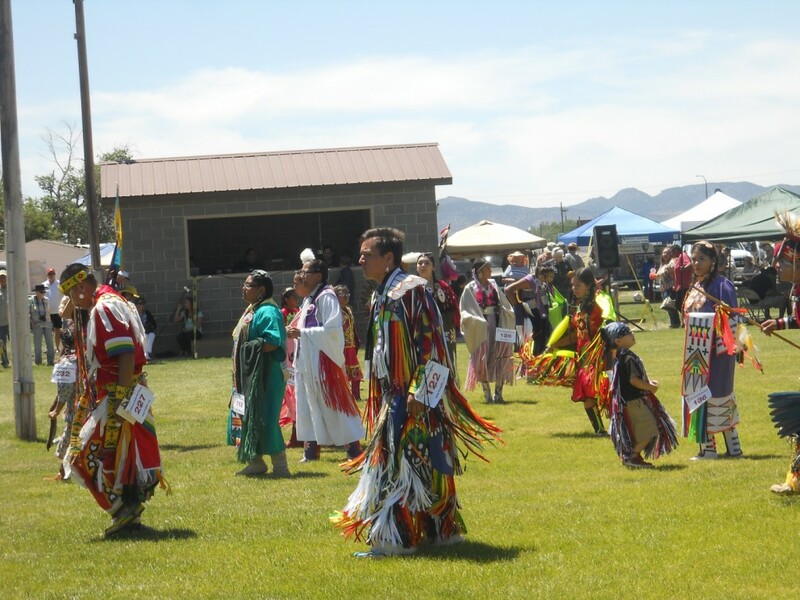 Efforts toward restoration began in 1973 with a circulation of petitions calling for the federal government to again recognize the Utah Paiutes. 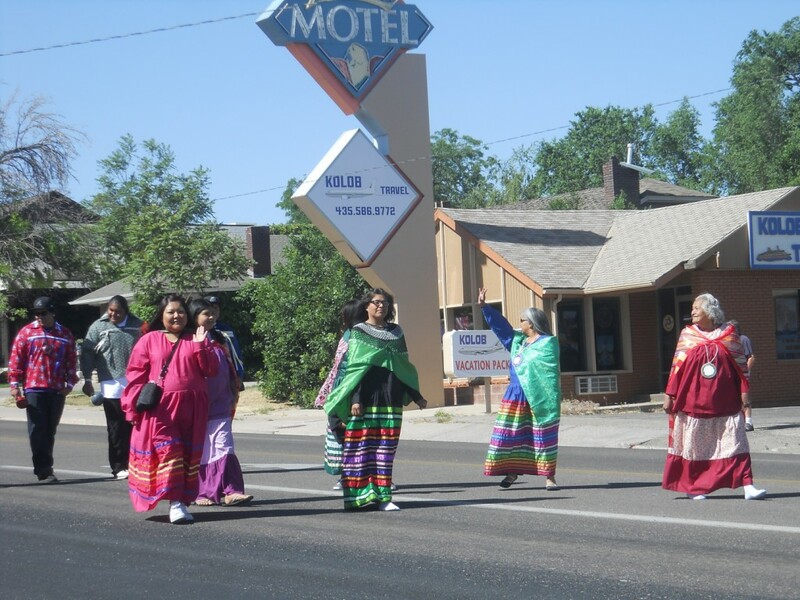 It wasn’t until April 3, 1980, that President Carter signed legislation that restored federal recognition of the Paiutes. 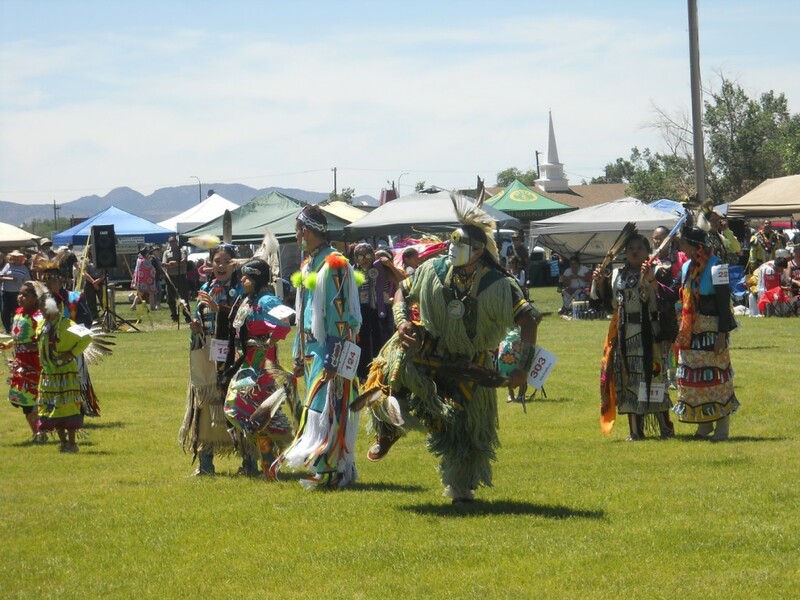 Mens fancy dancer Farron Kanosh of the Indian Peaks band of Paiutes was taken from his parents when he was 5 years old and moved to Roosevelt, Utah, where he was assimilated into the modern-day American culture. 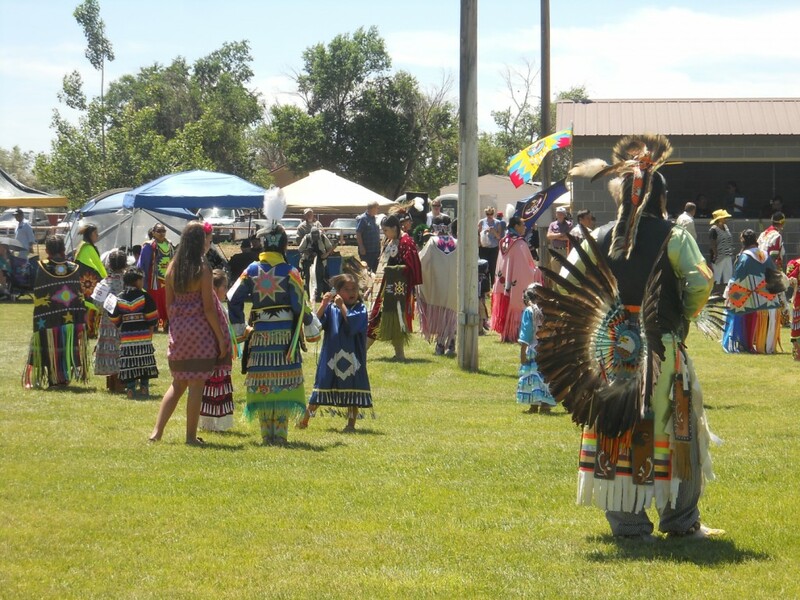 During the Grand Entry, the dancers come from the east side. 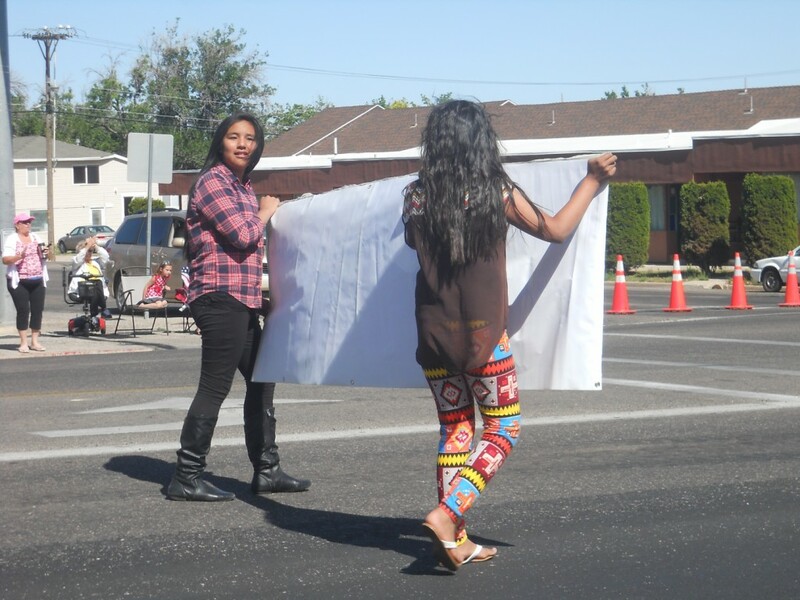 Mormons believe that when Jesus returns it will be from the east. 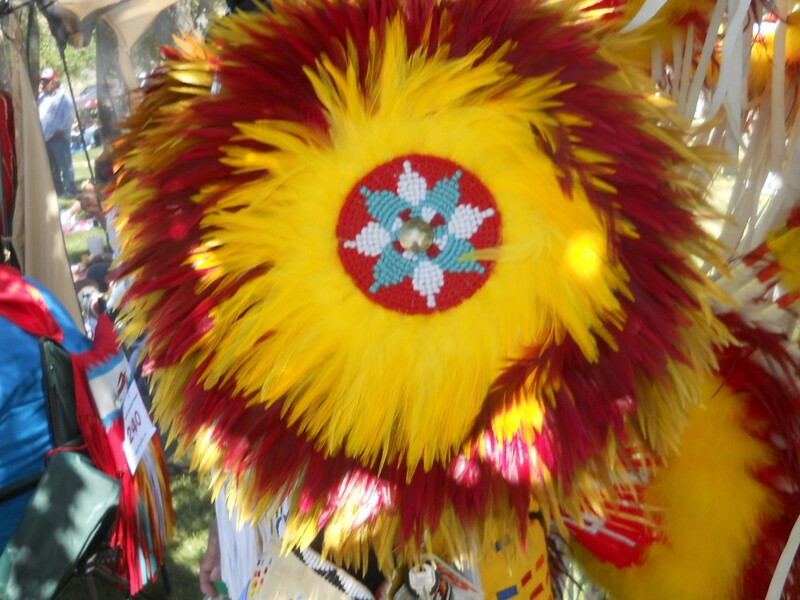 The dancers move around in a clockwise position because it represents the way the sun moves across the sky: from the east to the west. 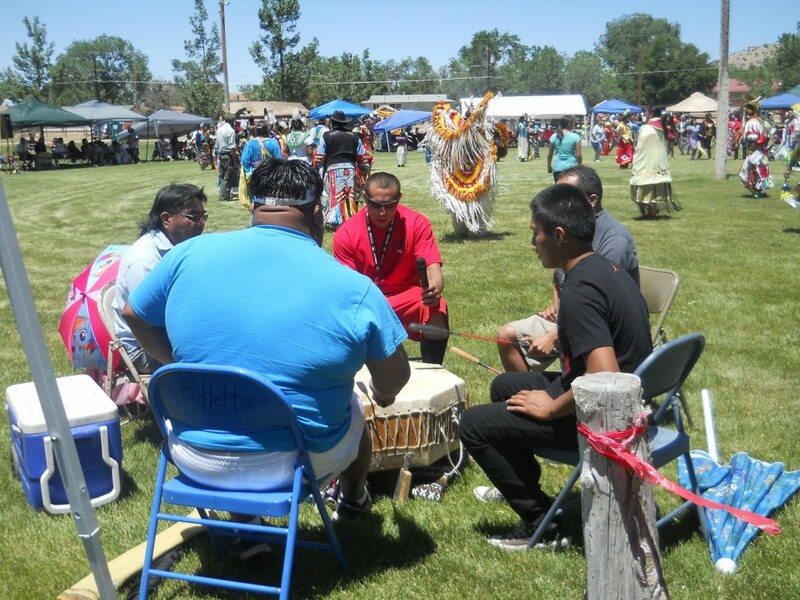 Each drum has a story behind it, said Charley Bulletts, of the Kaibab band of Paiutes and a singer in the Wolf Springs Northern Drum. 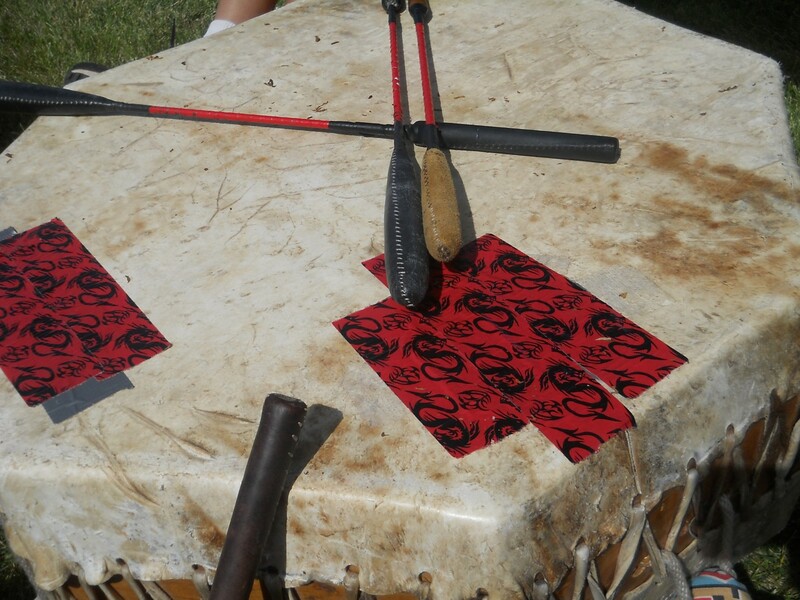 Learning to drum doesn’t come from a class, it comes from feeling the beat inside your heart. 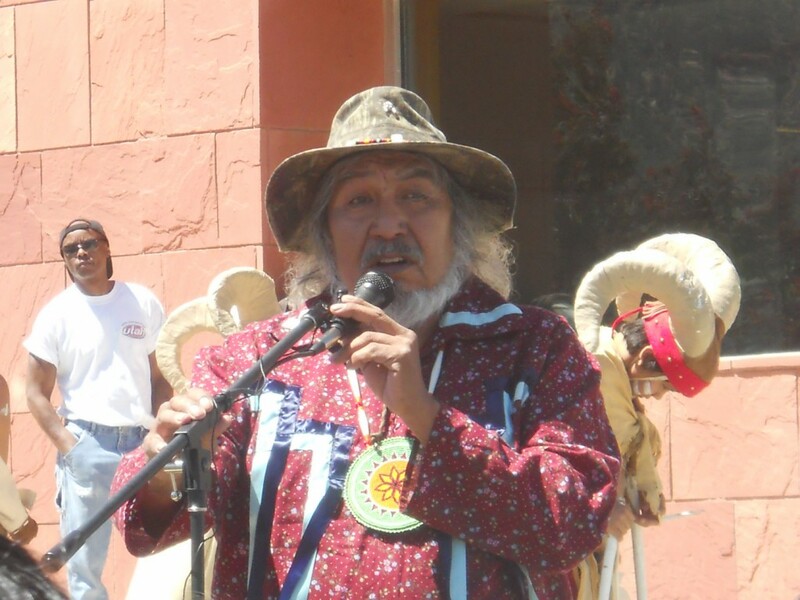 The most common misconception about Native Americans, fancy dancer Navajo Matt Cazares said, is that they are struggling alcoholics, lazy and living off of the government.